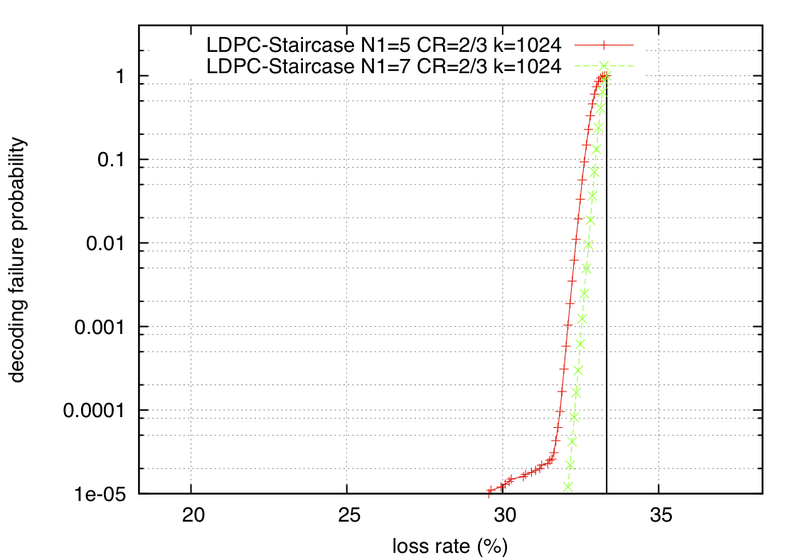 This page gives some information on the erasure recovery performance that can be expected from LDPC-Staircase codes. It follows that N1=7 is usually a good choice. 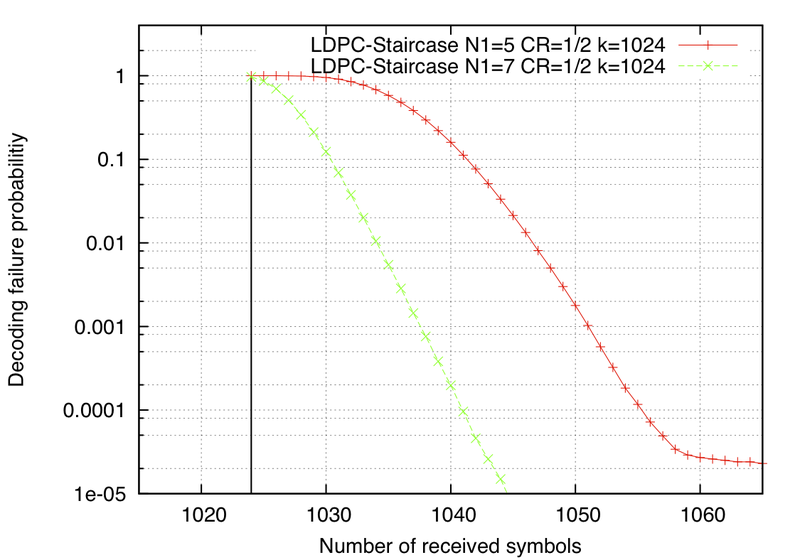 This curve indicates the probability decoding fails as a function of the overhead (said differently the number of symbols received). Here code rate=2/3; N1=5 or 7. 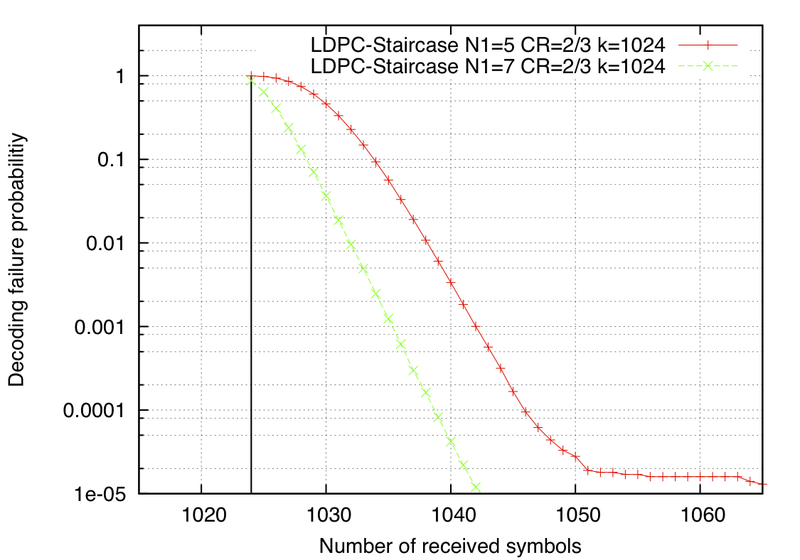 Same conditions as above for code rate=1/2. 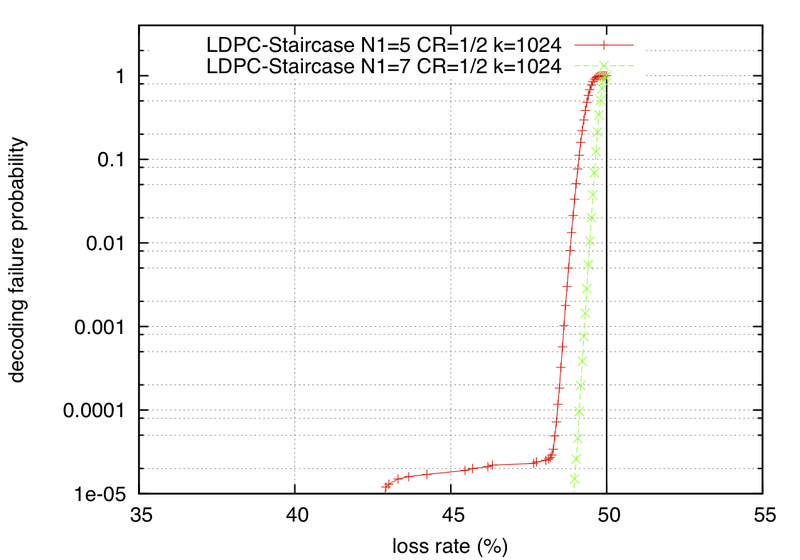 This curve indicates the probability decoding fails as a function of the loss rate (said differently the number of symbols received/n). Here code rate=2/3; N1=5 or 7.